It's December, a new month. The following are the best topics of last month. If you are a new reader, I recommend checking some of these out. Just click on a picture to go to the post. If you are a loyal reader, I thank you! Thanks especially to those of you who have left comments and asked questions. I really value your input a lot. It helps me decide what to look into. I feel I am achieving my goal of learning more about Korean animation. I have plenty more topics planned for you this month. These include interviews with people doing jobs in animation you might normally overlook. Bringing some Korean cartoons to your attention. Reporting more on the state of the Korean animation industry. And, of course, there will be more silly stuff. Thanks for reading! Meet Skitch. 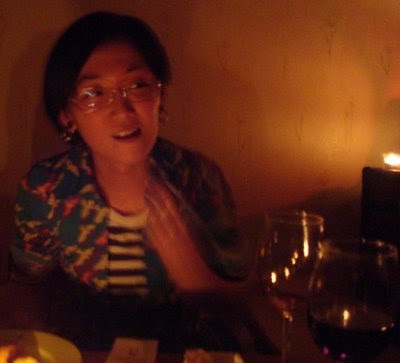 In this interview, Skitch shares some of her frustations with being an inbetweener in the Korean animation industy. Skitch has promised to create something special to share with you readers in the future. I wonder what it'll be! Park Min is a cool dude. So cool that he took the time to tell us about his career in the animation industry. He's even got some advice for beginners. 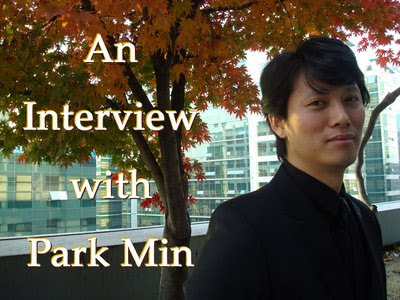 Park Min has an important message that he will share with us this upcoming month. Stay tuned to see what it is! Have you ever wondered what life as an inbetweener was like? Take a look here. These woman are an indispensible part of animation not only in Korea, but in the United States, Canada, Japan, France and beyond. Hooray for inbetweeners! Comic books in convenience stores?! What will they think of next!? 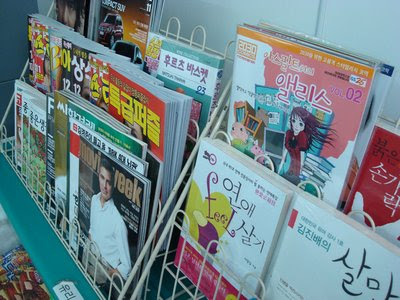 Read up on a fairly new distribution model for comics in Korea. Cosplayers turn themselves into real life versions of our favorite animated heroes. Give your eyes a treat and check out these cosplayers in their amazing costumes. 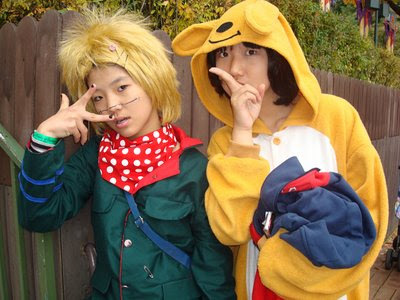 Oh, did I mention that they are at Everland amusement park? This is a showcase of seafood. 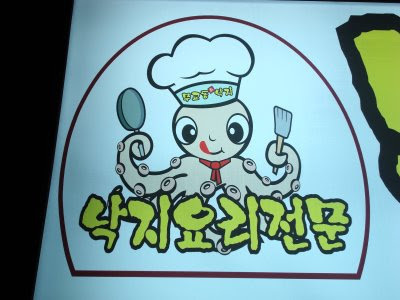 A collection of our favorite aquatic friends trying to persuade you into their restuarant. Learn their persuasion tactics so that they won't work on you! There seems to be a lot of great animation news for the "Best of December". Why is there a distinctive difference between Korean animation and US animation? Do animators try to express values and views to the public through their animation? Are views and values different in Korea and the US, and that is why animated characters look different? P.S. What are superior, Mogwai or pugs? Those are great questions. I think I'll have to dedicate a couple future posts to "what is the Korean style of animation?" Since Korea has historically done so much work for Japan and the U.S., their current style sort of looks like a mix between those with the Japanese style being more dominant. Japanese animation is what really inspires Korean animators and where they are pinching from. What are superior, pugs or Mogwai? That's too tough a question! I guess Mogwai aren't really real, so pugs are superior. How do you edit comments you've already posted? I spelled 'ever' every. OKIN, you have to delete a comment in order to change it. Make sure you are logged in if you want to do that. Yes, there is a lot of cartoons with historical settings and stories. I even read once that some people didn't like historical figures being turned into cute cartoon characters.